This magnificent rustic house is located the interior of the Algarve, 10 km away from the beautiful beaches of southern Portugal. Its location is ideal for large families of groups of friends who want to enjoy a quiet and relaxed holiday in the countryside. The property has five bedrooms (sleeps up to ten guests), a spacious living/dining area with pool table and a fully equipped kitchen. Outside, there is a large furnished terrace with a private swimming pool and barbeque facilities, where guests gather and enjoy a delicious fresh meal. 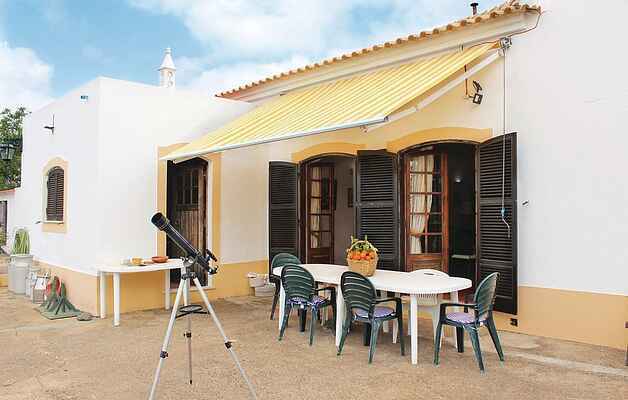 The property location is ideal to use the telescope and see the beautiful starry sky.